Are you aware that webcam is one of the most useful pieces of electronic equipment you can have in your home/apartment? Most likely you rarely ever use it, but it’s just because you don’t realize how many uses it actually has. Some of them are fairly obvious, but some you might say isn’t. What kind of uses I’m talking about? Well known live streaming, webinars, and the more inconspicuous ones such as surveillance, face recognition, gesture command system and more! Keep reading to check the list of the most useful application of webcams in everyday life. Whether you’re just a teenager or a businessman, you’ve already heard about LIVE streaming. And so it happens that webcam footage right now is an essential and inseparable part of your broadcast. Paired with Chroma Key (Green Screen effect) it is currently the most commonly used addition (or overlay) used alongside microphone. There is essentially no LIVE streaming without microphone commentary and webcam footage where you show your (sometimes precious) facial expressions. Twitch is a great place to feature yourself. If you think that Twitch is gaming-exclusive then you’re wrong. There is a dedicated IRL channel where you can LIVE stream whatever you like. Apart from that, you have YouTube and of course Facebook. 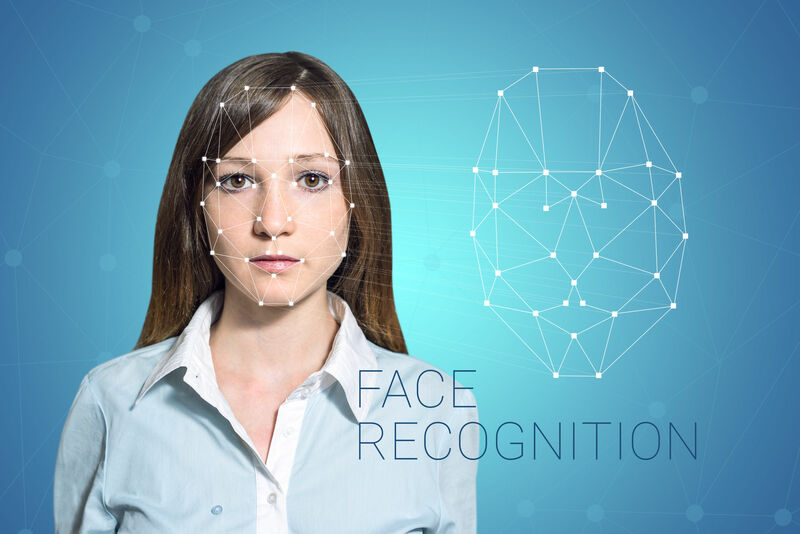 Face Recognition, which is essentially perfect security system that requires you only to have a webcam. If you want to keep your PC private, but your sibling or parent keeps logging on your PC (and figuring your password all over again), just include Face Recognition in your Windows PC using your webcam. This is becoming increasingly more popular not only in PC’s and laptops but also on mobile devices. If someone steals your phone or laptop, there is absolutely nothing to worry about in terms of data that might have leaked to other people, since there is no other way to log in, other than through facial recognition. For all those conducting various business lessons, or marketing, translation and lots of other types of informative content, a webcam is a way to go. This way you can interact with your viewers much better than just by talking, answering questions without showing your facial expression. Online courses are often lead via Skype or Google Hangouts. The best way to properly teach other people is when they can both hear and see you. That?s why it is important to have a good webcam (not necessarily a built-in solution). Connected with the previous point, but probably much more useful. Using simple (preferably wireless/wi-fi) webcam you may monitor how’s you tiny baby sleeping during the day if it’s about to wake up, or is it just making weird noises to keep you distracted from other duties you never have time for. Once again – you don’t have to overpay for professional cameras. Setting up a live feed from webcam well cost you almost nothing. Lastly, when you’re in a pinch, you can’t leave your laptop or don’t have any mirror nearby, just turn on the webcam screen and you’re all set. I don’t think there is anything to add apart from the fact that you need a bit better than average webcam to have a clear view of your face. Do I need a software to do all that? 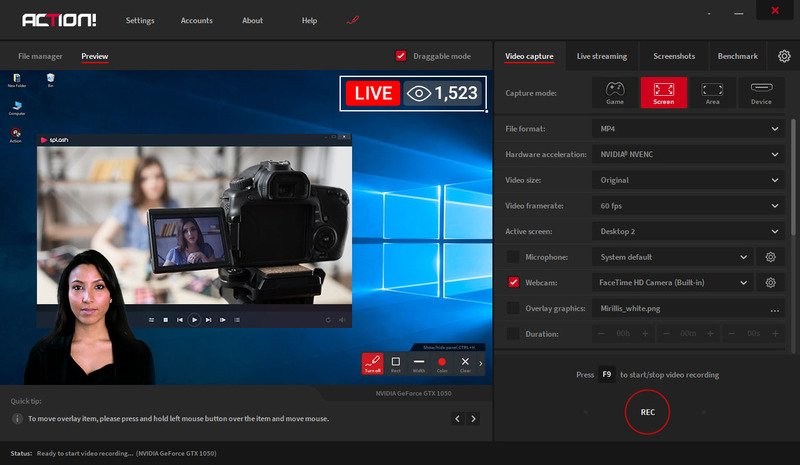 So where can you actually access the live view from your webcam and which software should you use when you want to add a webcam to your LIVE stream or a webinar? With Action! you can access the footage from your webcam with ease by using device recording mode and selecting your webcam. Once you do it, click on Preview button on the left top side of the window and check the view from the webcam. You may also record it by pressing F9 (by default). The post is saying about the best uses of any webcam and the user can use their webcam for many purposes like live streaming or be having a chat with someone, but the user also needs to be aware of the webcam security because the webcam security is a new threat that is affecting many.